Interspecies fun on Willow Lake in Flushing Meadows-Corona Park. 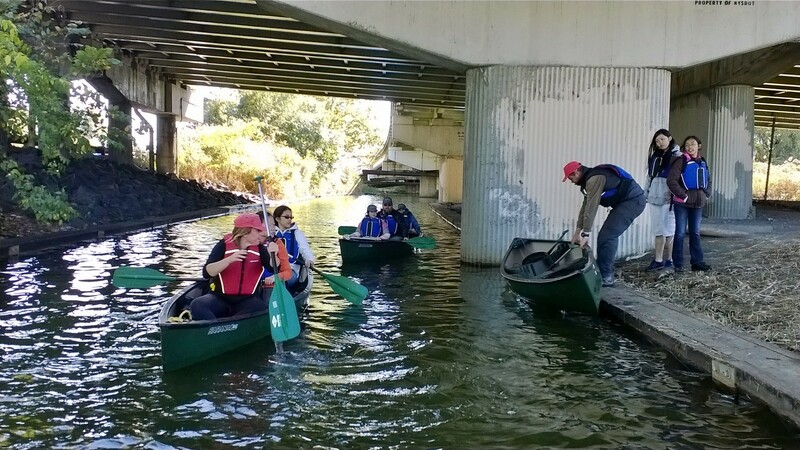 Starting in June we’ll offer paddling the first Sunday of each month. We offer both Partner Paddles to augment the missions of schools and community organizations, and Community Paddles for the general public to enjoy during open program hours. We’re deeply grateful to the Flushing Meadows-Corona Park Conservancy for its advocacy for this premier green space, and for aiding HarborLAB with permits and outreach. The organization’s leadership is reflected in the naming of Pat Dolan Trail for its first president. 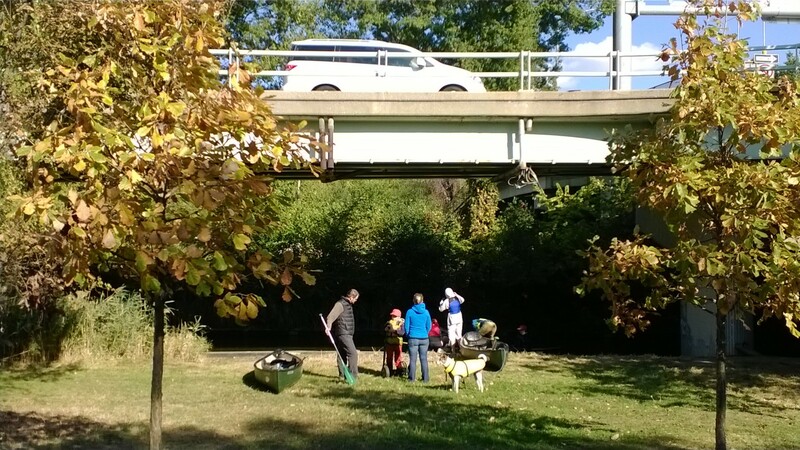 Our goal is to through demonstrations seed a local eco-educational, non-competitive paddling, and nature stewardship group at Willow Lake and Flushing World’s Fair Marina’s kayak launch. For those looking to paddle race or row, try these two great nearby groups: New York Dragon Boat Race Club or Row New York! 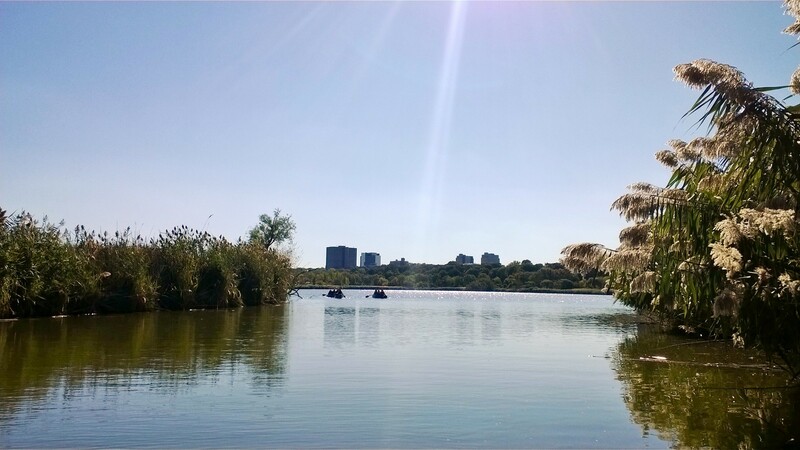 The Willow Lake habitat restoration in Flushing Meadows-Corona Park was closed to the public for a long stretch while the NYC Department of Parks and Recreation restored and replenished natural areas. We’re excited by the improvements and hope to contribute to further progress through water and sediment testing, new plantings of native species, and mitigation and remediation of highway runoff waters. Paddling provides unique views of the herons, egrets, turtles, and other beauties of Willow Lake. 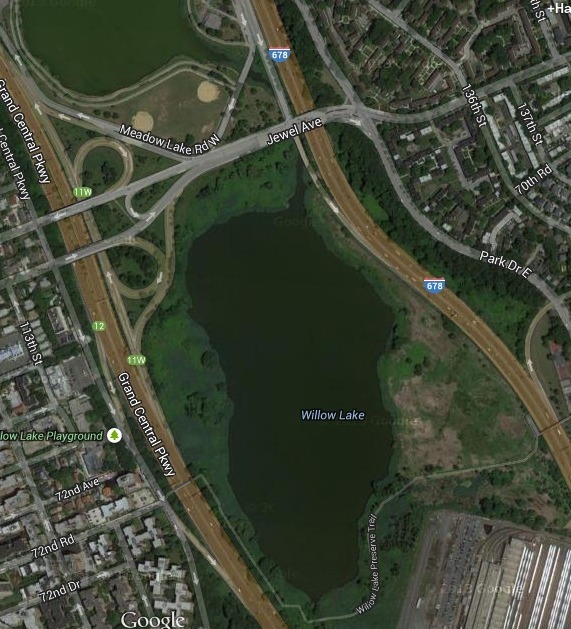 At a later date we’ll write about the history of Willow Lake and its larger twin, Meadow Lake, and proposals for the future of the greater Flushing Creek watershed. Through the years other groups, including Boy Scouts, John Bowne High School, Yale University, LTV Squad, New York World, and CUNY Macaulay Honors College have worked for the betterment of the park’s Forever Wild areas and to document its life and needs. 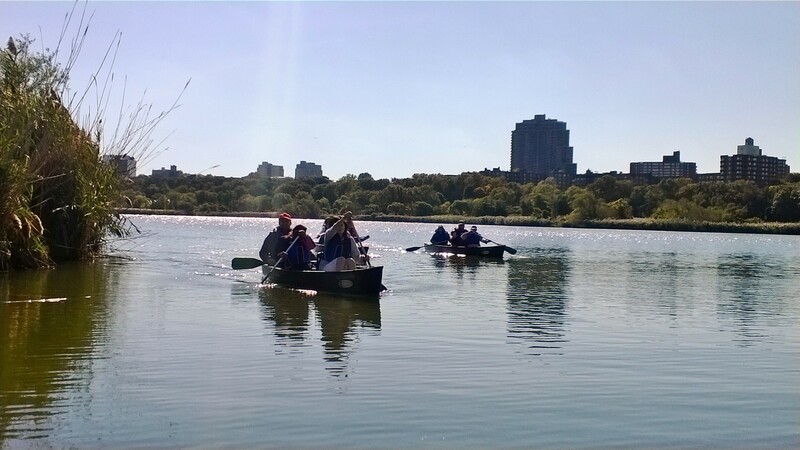 We give thanks also to the NYC Urban Park Rangers, who provided the first public canoeing in Willow Lake and will certainly continue to be a leading presence! 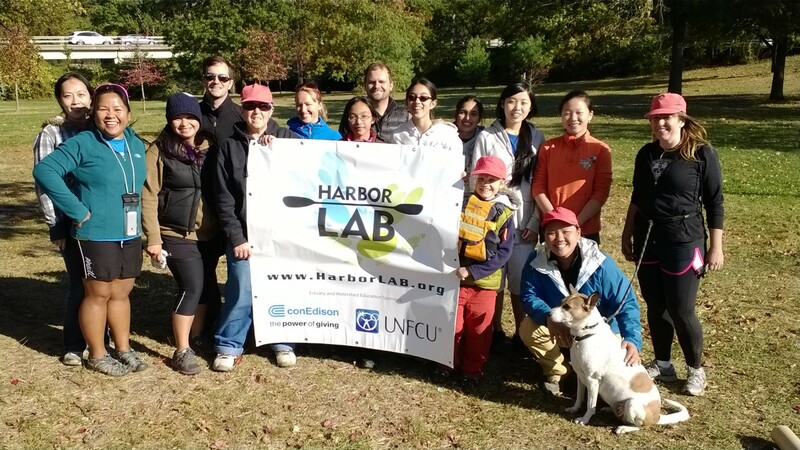 We hope that HarborLAB can partner with these organizations, bringing the added joy and access of a canoe fleet! HarborLAB also has sit-on-top kayaks, but canoes are a safer (drier) bet until we have water quality data. So what’s it like to paddle Willow Lake with HarborLAB? It’s an amazing New York City experience! What are those strange people up to under the Van Wyck Expressway traffic? Canoeing, of course! We’re under the Van Wyck Expressway (I-678), just north of Jewel Avenue, across from the park’s Ballfield #13. HarborLAB’s “secret launch” to Willow Lake. You start in the shade of a Robert Moses cave that thrums and thunders with Smart Cars and 18-wheelers above. Your canoe awaits in a small canal that links Willow Lake to Meadow Lake. Is it the Bayou? Nope. Our little canal gives way to a creek, which is thrown wide open at Willow Lake. Paddling to Oz? The Observatory Towers, New York Pavillion, and Unisphere of the 1964 World’s Fair glimmer in the background. Some of the day’s crew. Our friendly volunteers provide safety tips, environmental literature, activities, community notices, and more!